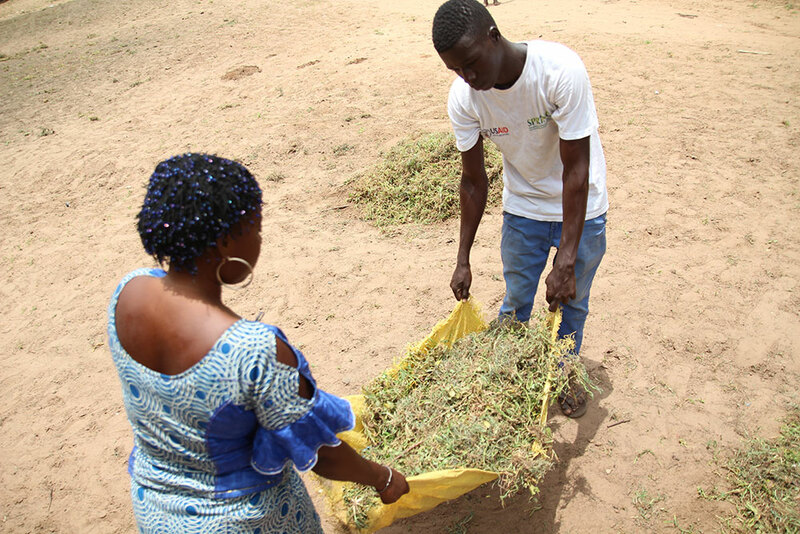 As part of SPRING/Senegal’s multi-sectoral nutrition strategy, hygiene monitoring teams known as dynaset-setal groups conduct regular home visits to ensure that households meet basic hygiene standards. 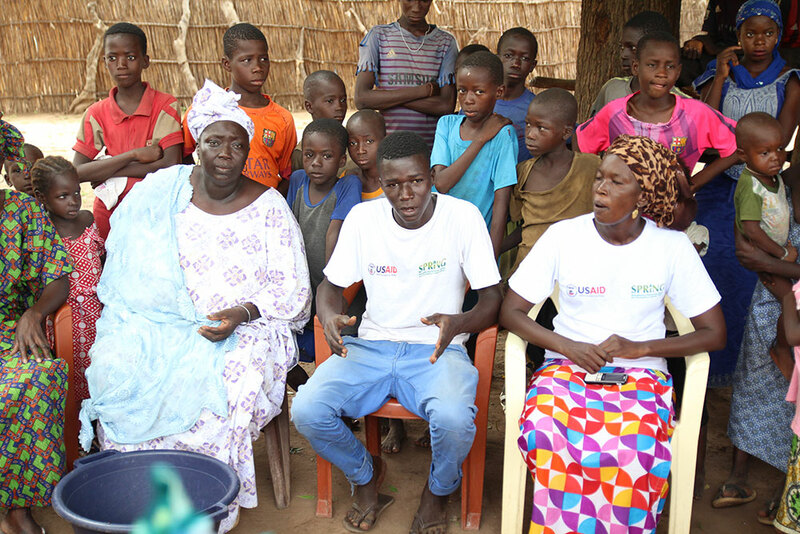 Dynaset-setal is a Wolof phrase meaning “I commit to a clean environment” that emphasizes each group member’s role as a resource person and positive example of good hygiene practices in their community. The groups consist of 6 -10 highly engaged and influential community members, often community health workers, village heads, local government unit representatives, and Koranic school teachers. 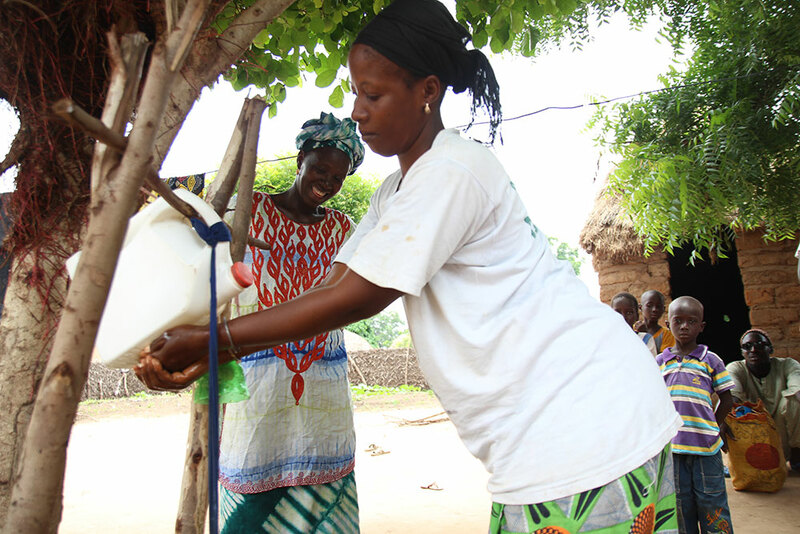 The dynaset-setal groups record the number of households with functional tippy-taps and the number of people aware of at least three critical moments of handwashing with soap, among other indicators. They also organize community gatherings to speak to the entire village about the importance of good hygiene for good health and nutrition. A member of a hygiene monitoring unit pays a visit to a household in Nioro. 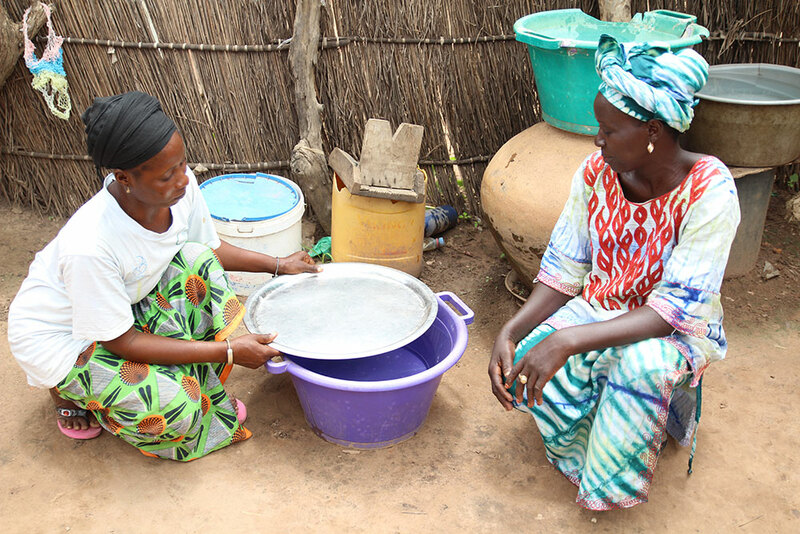 A dynaset-setal member reminds a home owner to place a cover over buckets of water to prevent mosquito breeding and contamination from flies. A dynaset-setal member checks to see if a tippy-tap is still functional. 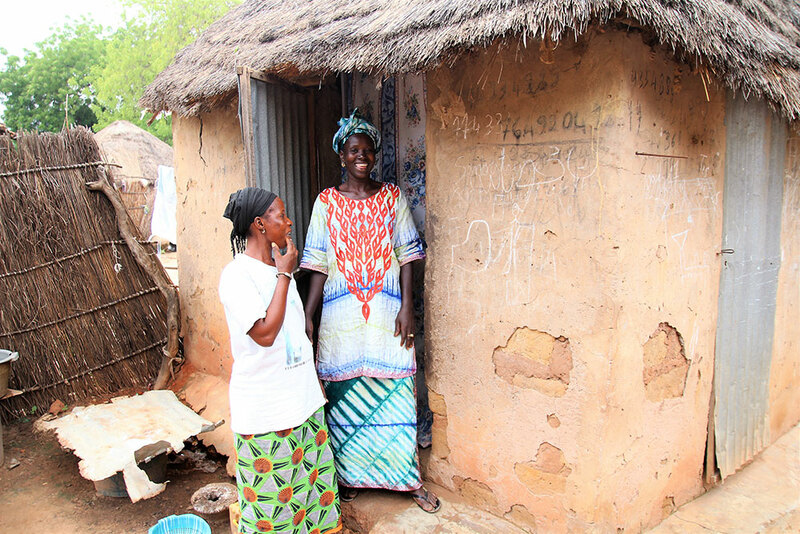 A community member cleans a house-hold latrine and recovers it to prevent flies. 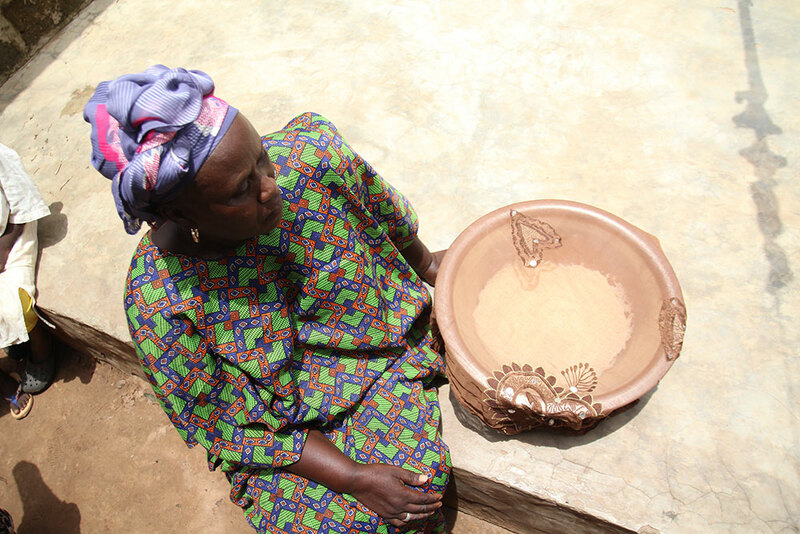 A woman demonstrates how she covers cereal with a transparent cloth to keep flies away. A dynaset-setal member helps a community dispose of waste. This young dynaset-setal member sis known for speaking passionately about the importance of hygiene in his community. 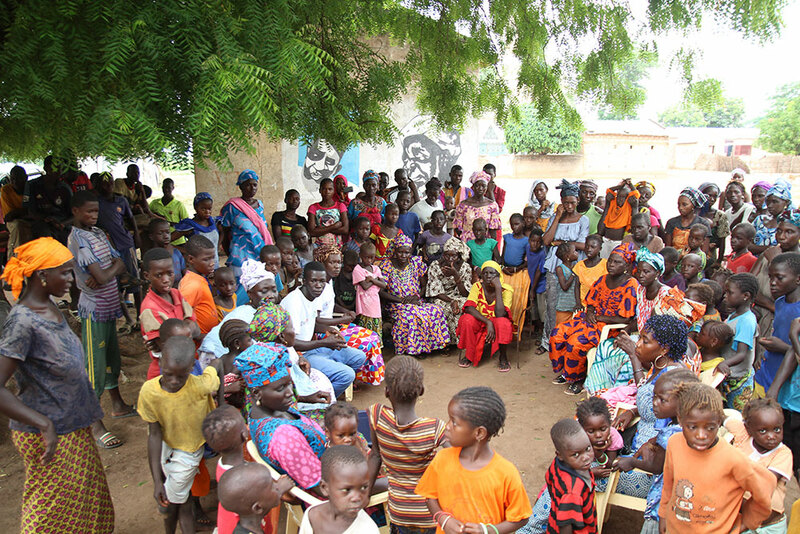 Dynaset-setal members speak during a village gathering to remind community members of key hygiene messages.